When looking for senior craft projects, remember that their fingers may be a bit slower than they once were, so patience is the magic word. There will be some senior citizens who are ready and willing to try any craft, and there will be some that will hesitate because they worry that they won't be able to keep up. When crafting with seniors, be willing to spend the time helping them or waiting for all of them to finish. The best crafts are those that are simple to understand and do not have tiny pieces. Allot plenty of time to do the project, or plan on more than one session to finish it. Above all, exhibit patience, and the seniors will love you. 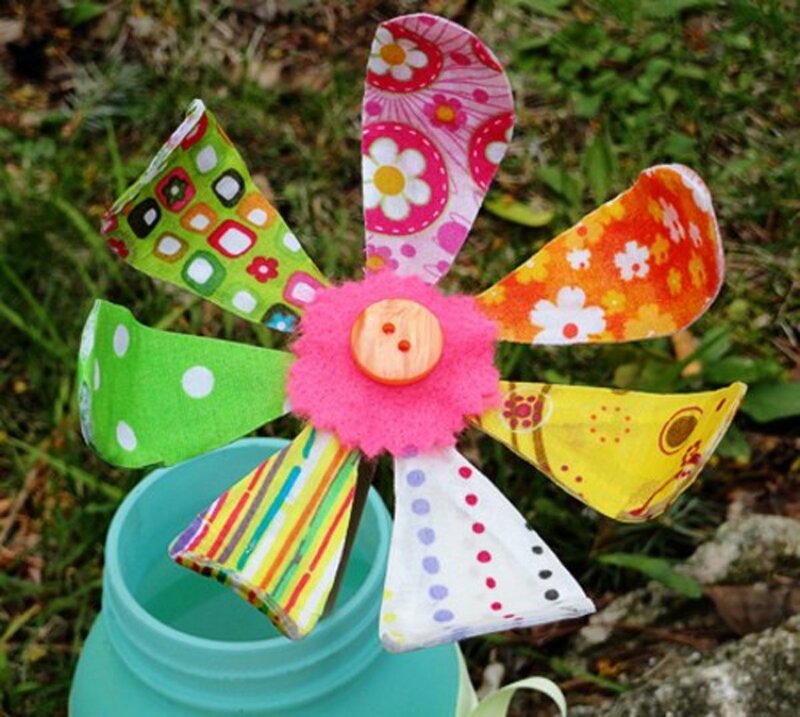 The directions to make the bendable fabric flowers shown above can be found at Crafts by Amanda. 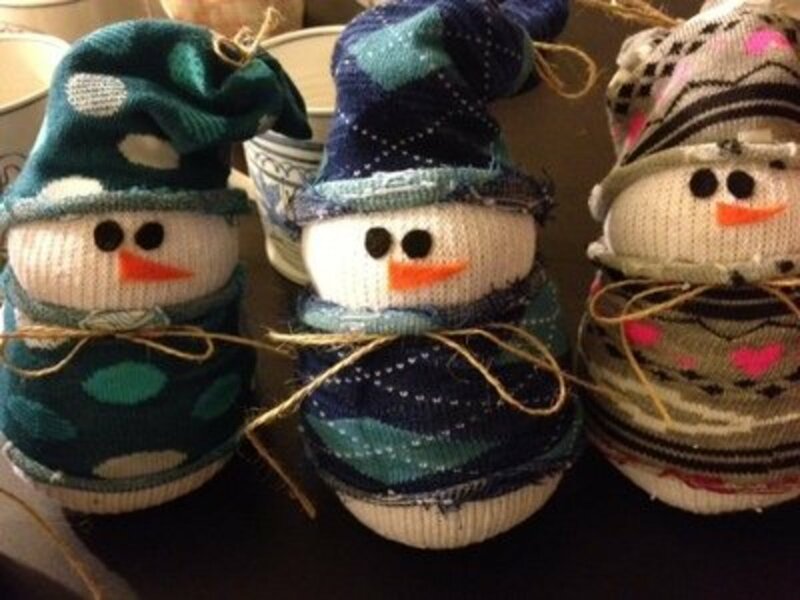 I have made these snowmen and they really are easy to make and adorable. The directions for making the sock snowmen are found at Ciao Mama. This looks like a very enjoyable activity that isn't difficult but the end product is super cute. 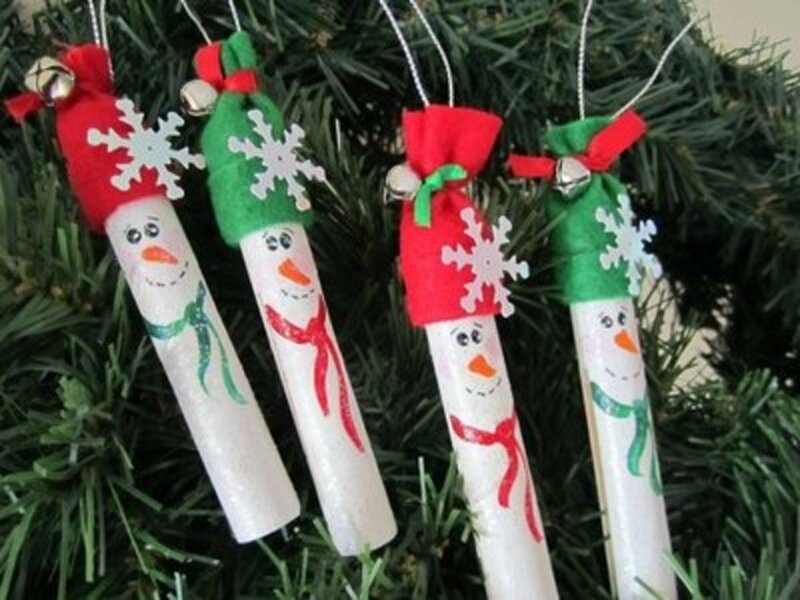 You can find the instructions for making these clothespin snowmen at Crafting Mom. You'll find the tutorial for this cupcake paper ornament project at Raising Little Superheros. 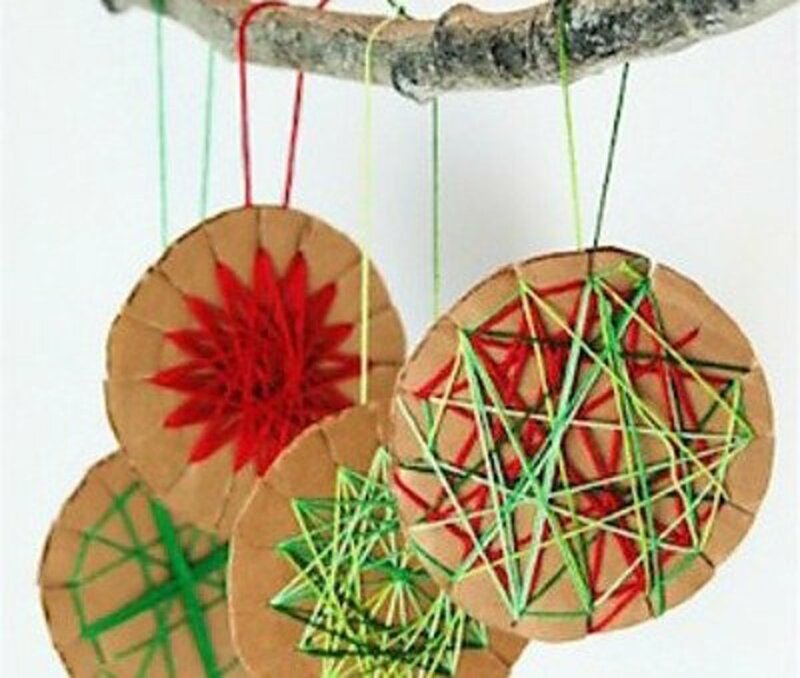 Make a garland with a bunch of these tree ornaments. 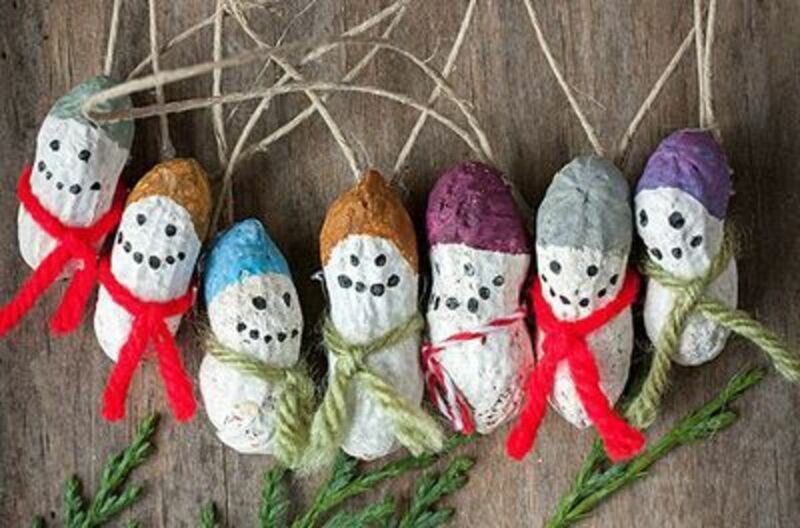 These little peanut snowmen are just one of the simple and easy tutorials that you'll find at Evermine Occasions. You'll also find citrus wheel ornaments and stick/button ornaments. 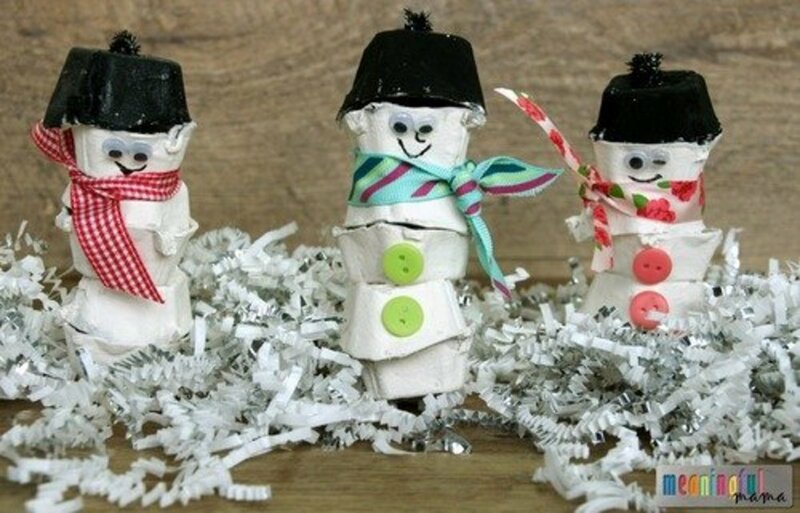 Imagine adding a magnet or pin, glued to the back, to the little snowmen. Very cute! 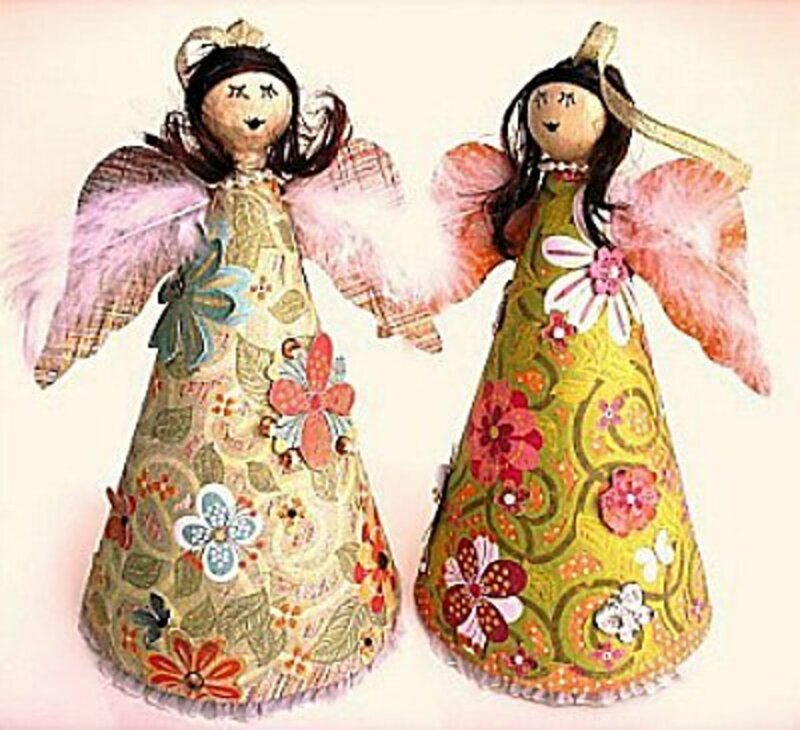 These cute little angels are so easy to make that you'll be able to decorate a whole tree with a variety of colors gowns. Find the directions at CraftyStaci. If you prefer to use something instead of dried cranberries to make these heart ornaments, consider using popcorn, beads or packing peanuts. 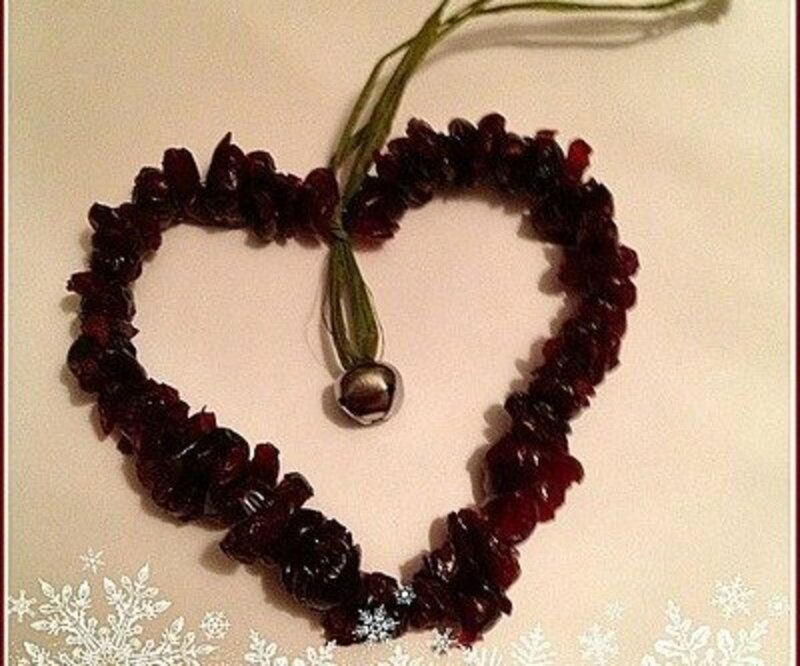 You'll find the instructions for making these beautiful dried cranberry heart ornaments at The Chaos and the Clutter. 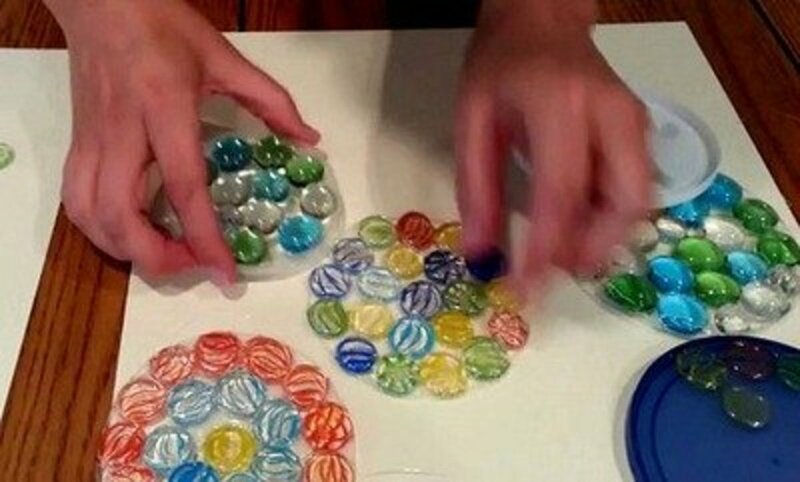 Although buttons can be easily purchased in bulk, usually if you ask family and friends you can amass a goodly number of buttons for making crafts with seniors. 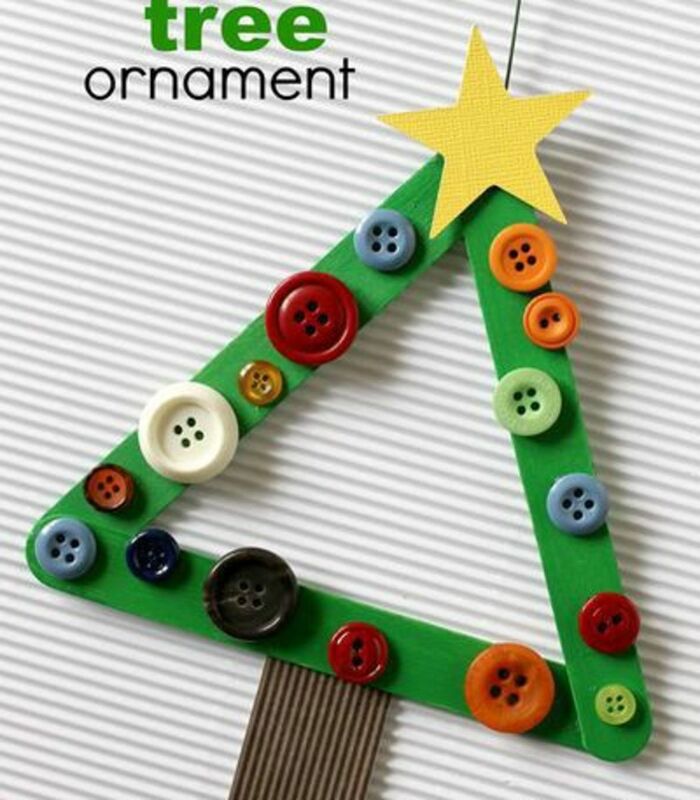 This easy tree ornament is a good example of how buttons can be a perfect addition to a craft. 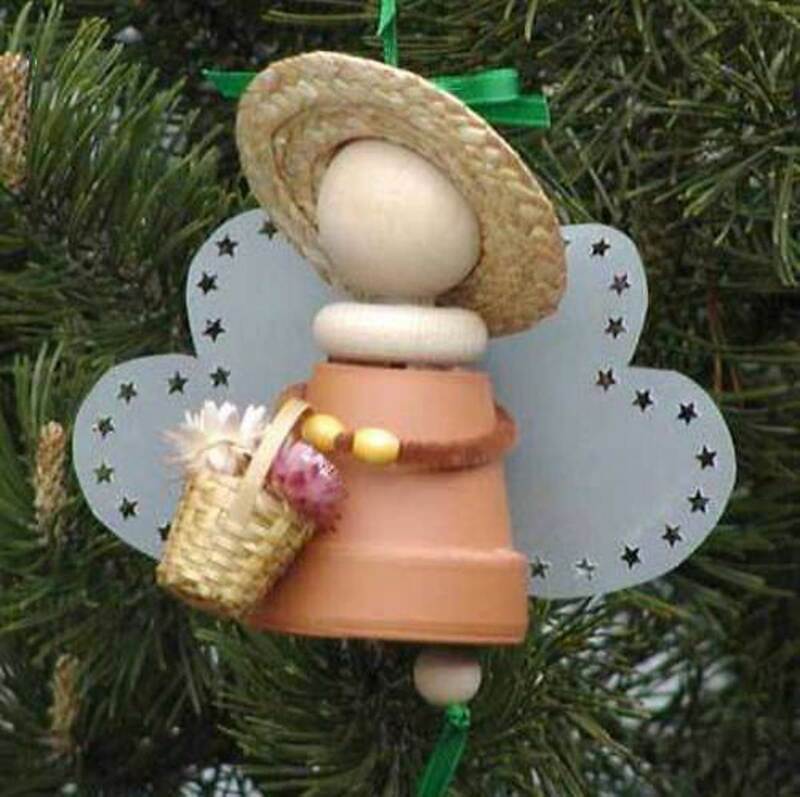 You'll find the tutorial for making this tree ornament at Ginger Snap Crafts. I love, love, love, this cute pumpkin seed poinsettia. I can even imagine a Christmas tree, strung with clear mini lights, and filled with poinsettias ornaments. 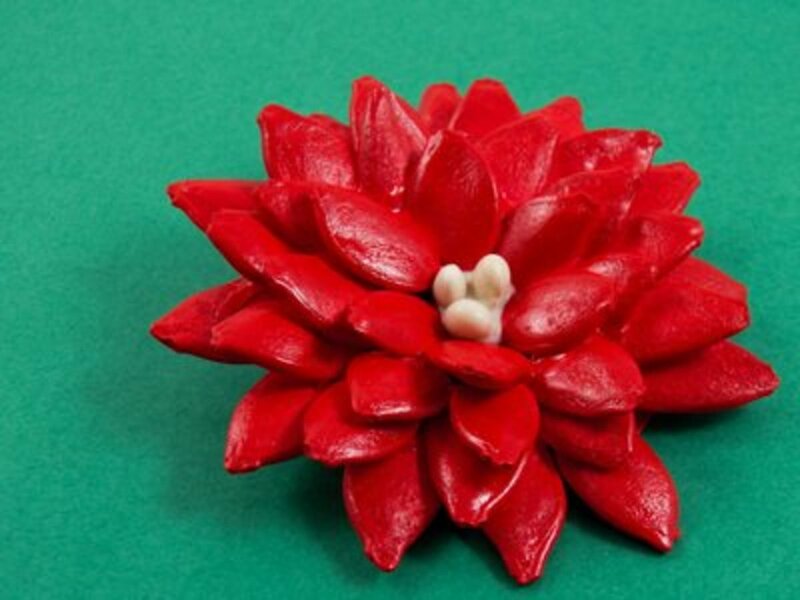 Go to Aunt Annie's Crafts to find out how to make the pumpkin seed poinsettias. 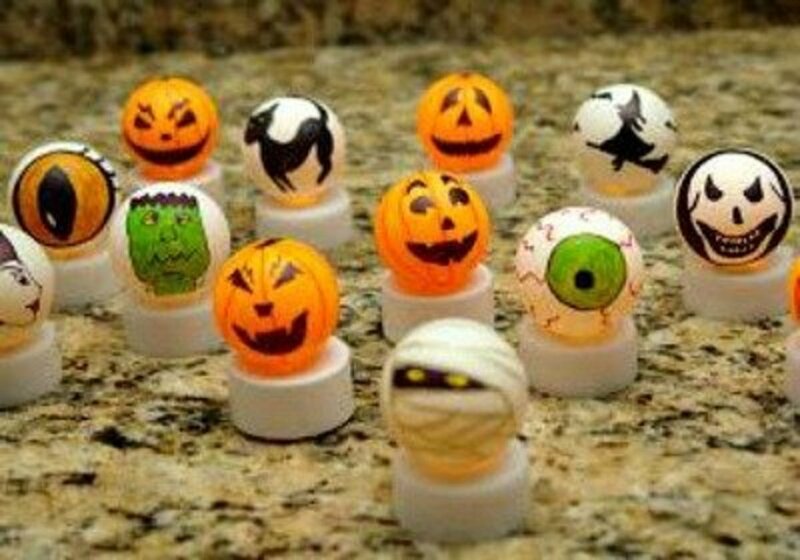 These cute little Halloween decorations are made using flameless tea lights and ping pong balls. I like the OMGAI flameless tea lights because they have an on/off switch to make them last longer. 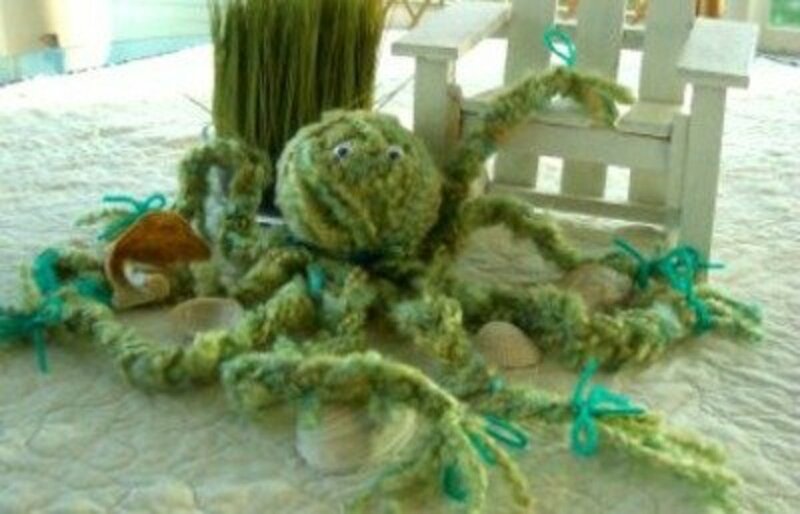 The tutorial for making this project is found at Boo Turtle. I understand, from reading other craft articles about drying orange slices, that it takes a low temp oven and overnight, to dry them. So, this is definitely something that you want to do a day or two ahead of making this ornament. The cinnamon and orange aroma has to make this a favorite craft to make. Go to Natural Suburbia for the directions on making the ornament. I think this will be a favorite craft for the seniors. 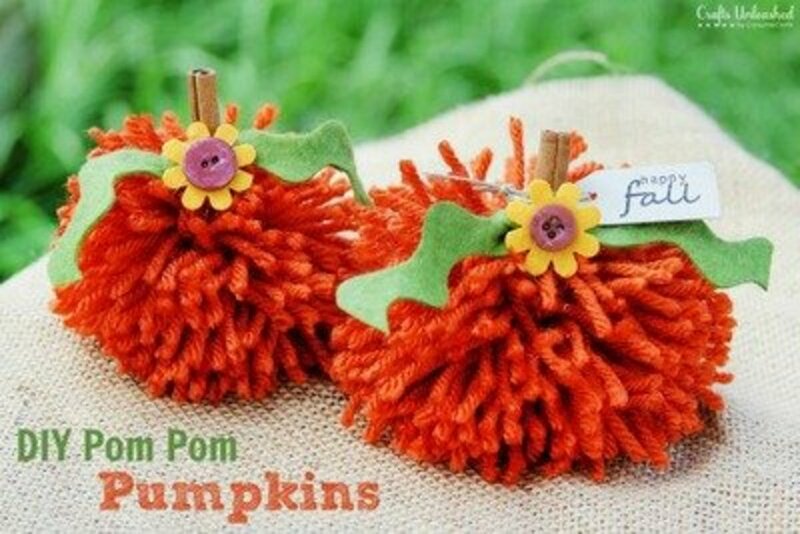 First the pom poms are made with orange yarn and a winding cardboard. Then decorated with felt leaves and a cinnamon stick stem. So easy, smells great and looks beautiful. 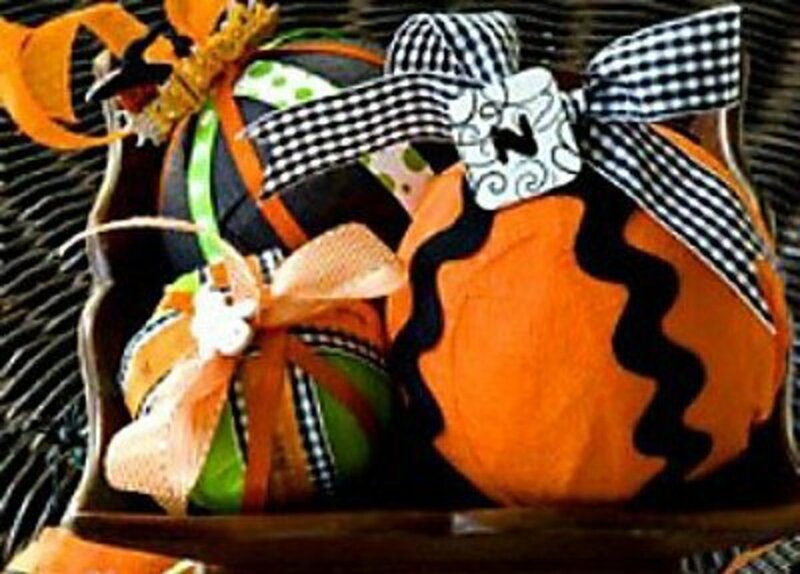 Crafts Unleashed is the site where you'll find the tutorial for making the pumpkins. Such a cute mason jar snowman, and a luminary to boot! Easy to make and a great item to put you into the Christmas holiday spirit. 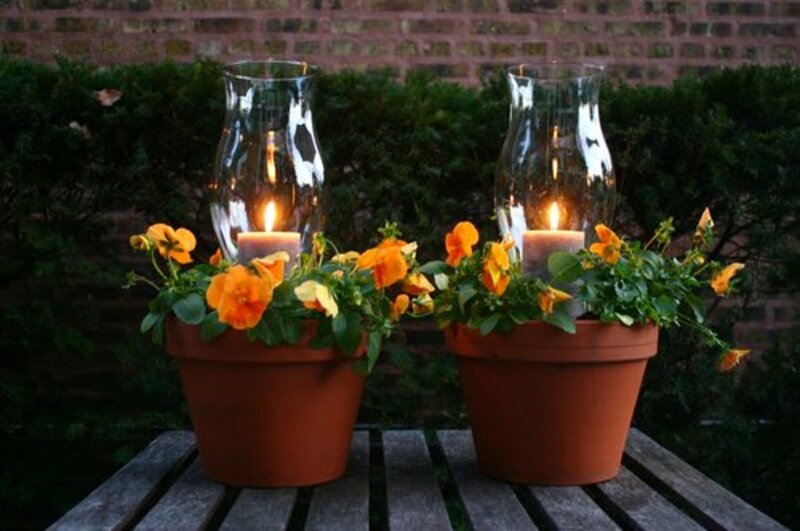 Use flameless tea lights and these are safe to place anywhere. 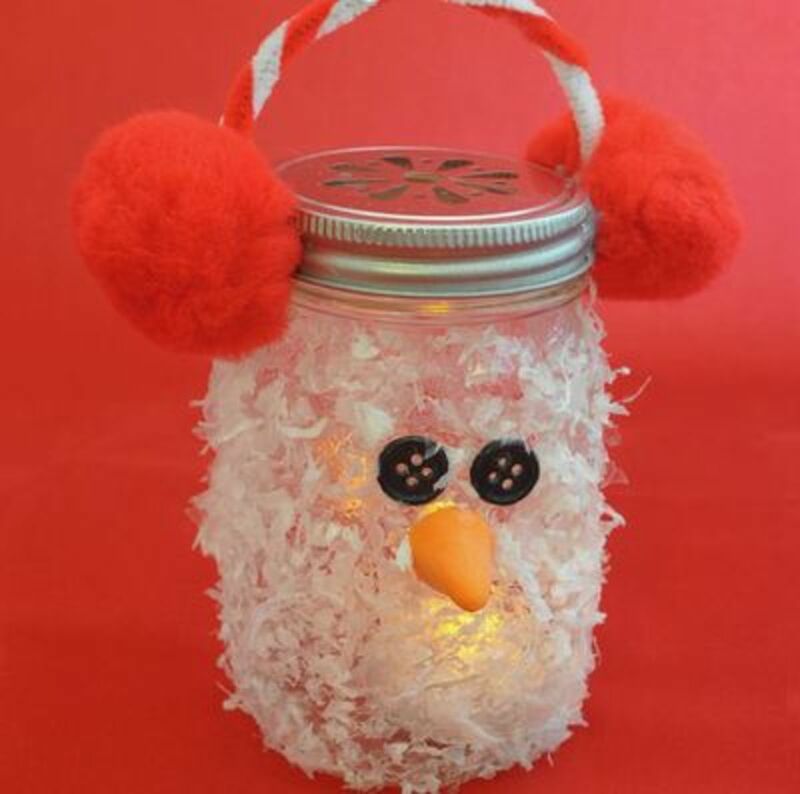 Find the tutorial for making these snowman luminaries at Club Chica Circle. 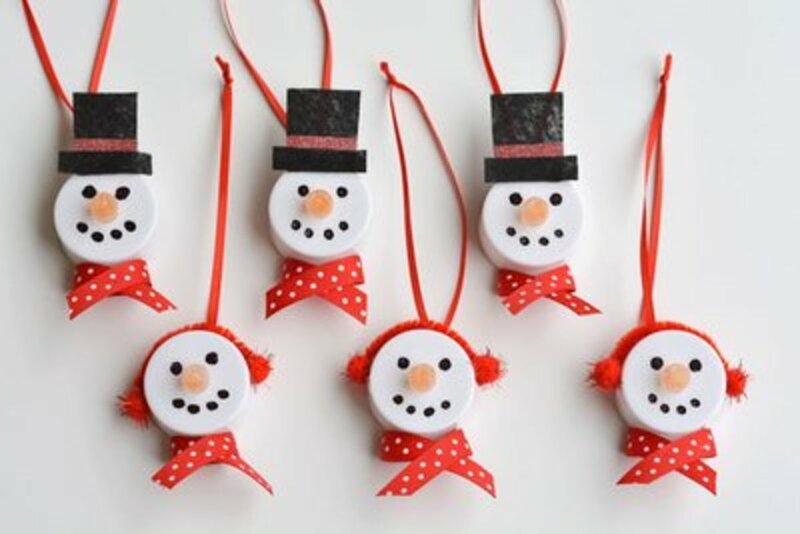 All you need to make these cute little jingle bells is an egg carton, some paints, a few jingle bells and some yarn. All inexpensive supplies and the resultant Christmas bells could be grouped as a swag to decorate the senior's room. 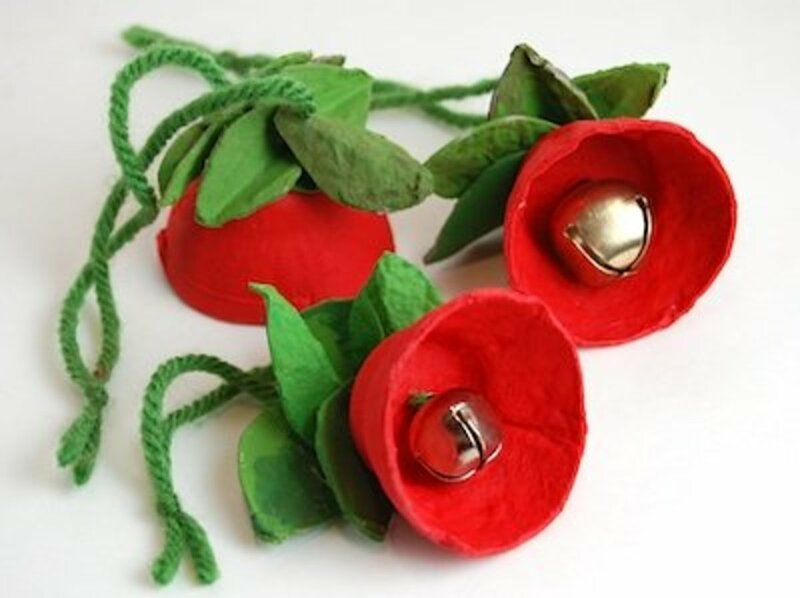 Check out the tutorial at The Crafty Crow to make these bells. 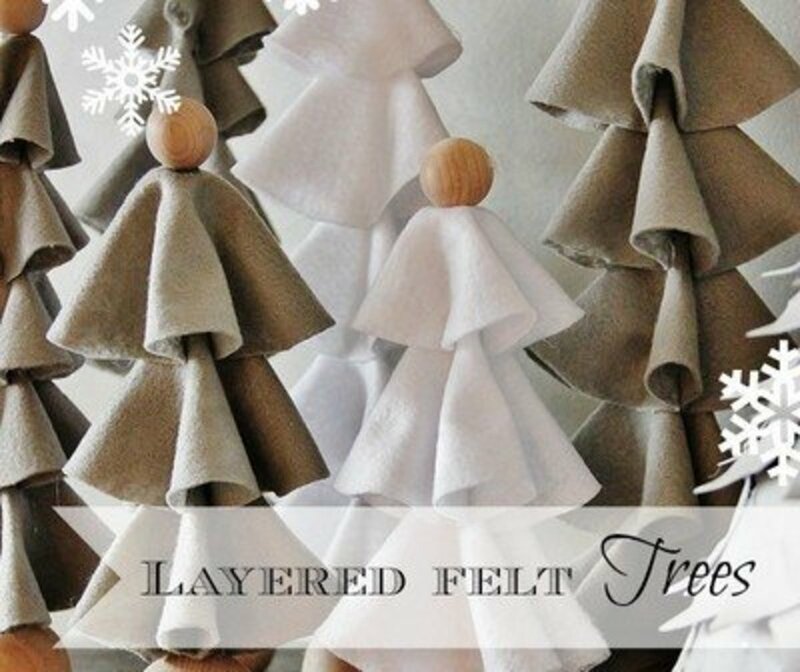 Although these layered felt trees are beautiful and elegant, and appear difficult to make, seniors will enjoy how easy it really is. You'll find easy to follow, pictured instructions on making them at Thistlewood Farms. I love this project. 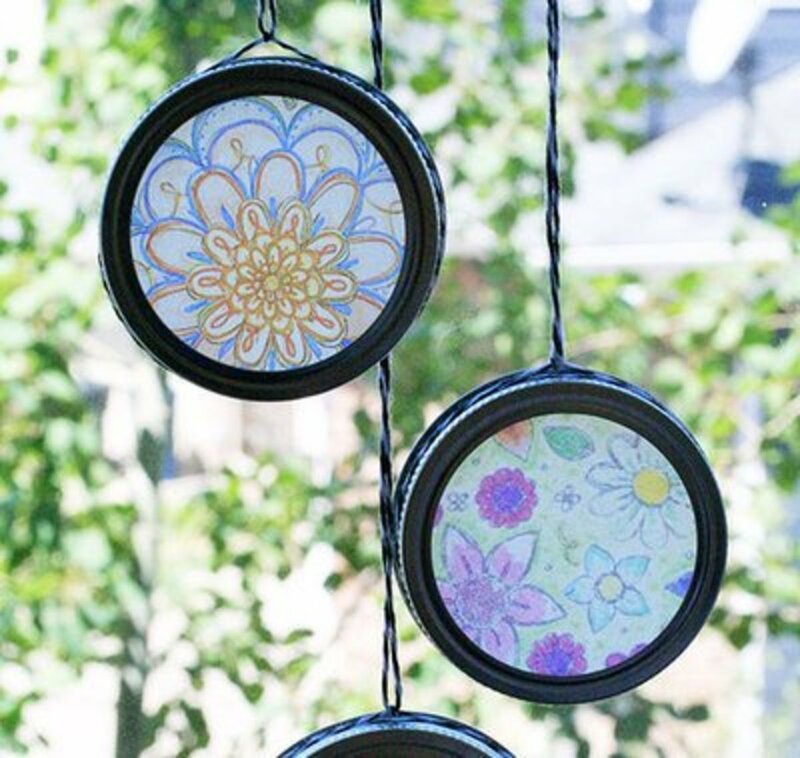 You'll find the tutorial, and also a video on how to make these sun catchers, at Crafts USA. Seniors could even make these to give as gifts or to sell. Bling is for the young, and the young at heart. I don't know anyone who doesn't like crafting with bling. 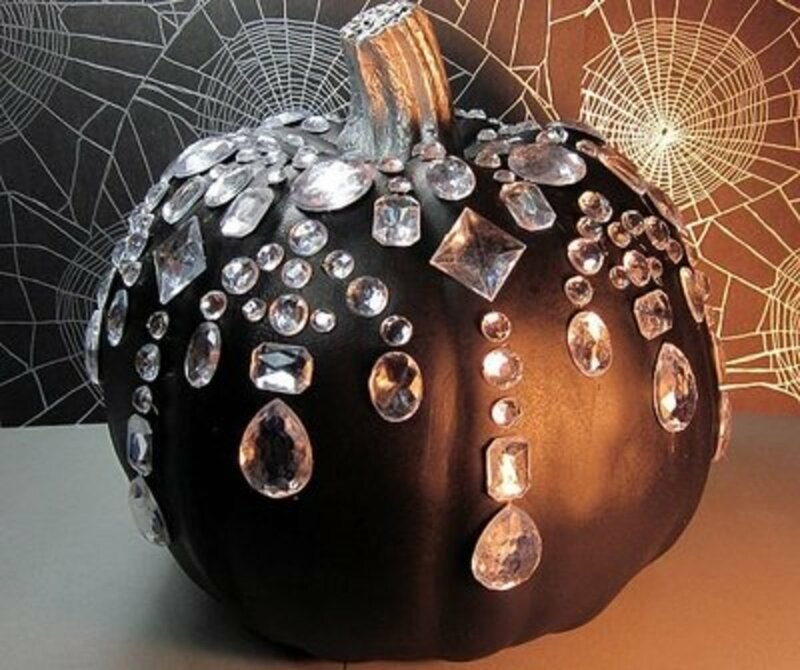 Seniors will love making these fancy pumpkins to decorate their room, or to add to a display in the commons area. 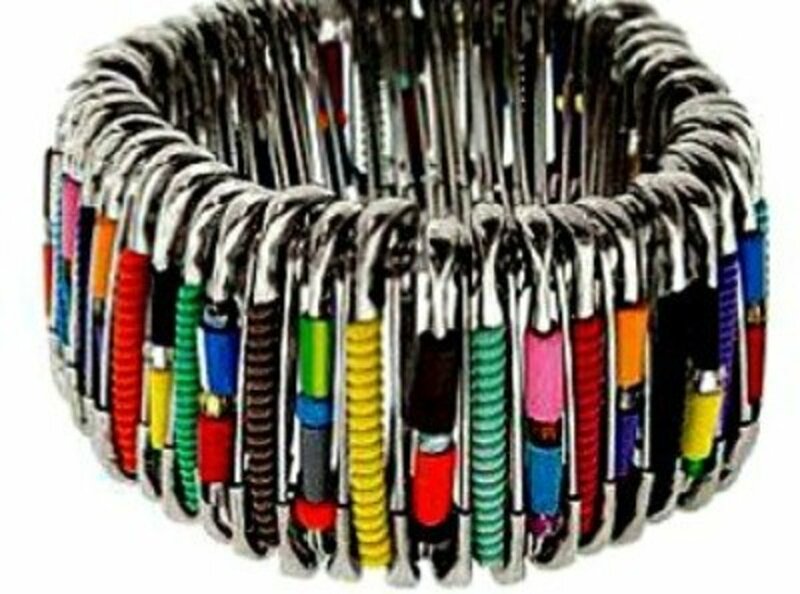 The secret that makes this a great activity for seniors, is to use large gems. There are some with adhesive backs. For the instructions to make this fancy pumpkin, go to Her Campus. This project looks like it would be a lot of fun to make. 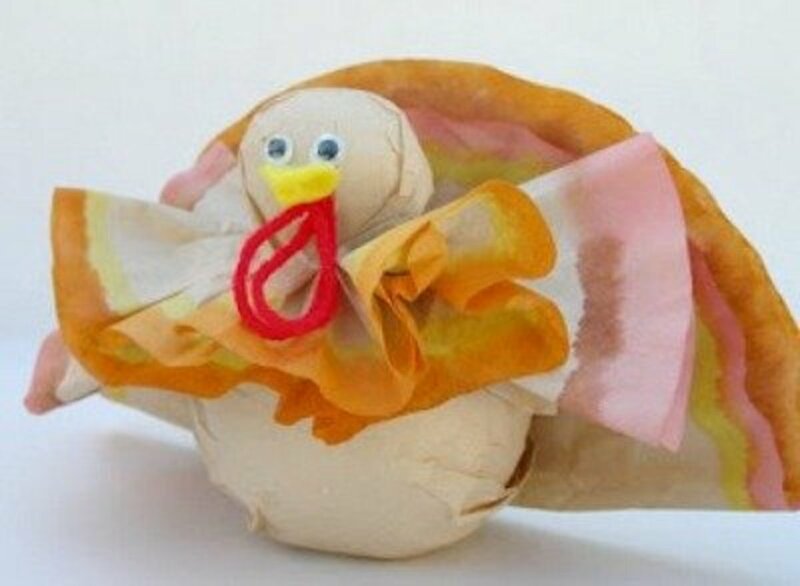 Follow the directions given at Terry Ricioli Designs to make a turkey like the one shown above. Very cute. Although it appears that the cover on this can is crocheted, it really is just wrapped in yarn. It's the type of yarn used. Think of all the ways covered cans like this could be used. The directions for this project are at Canadian Family Yarn. 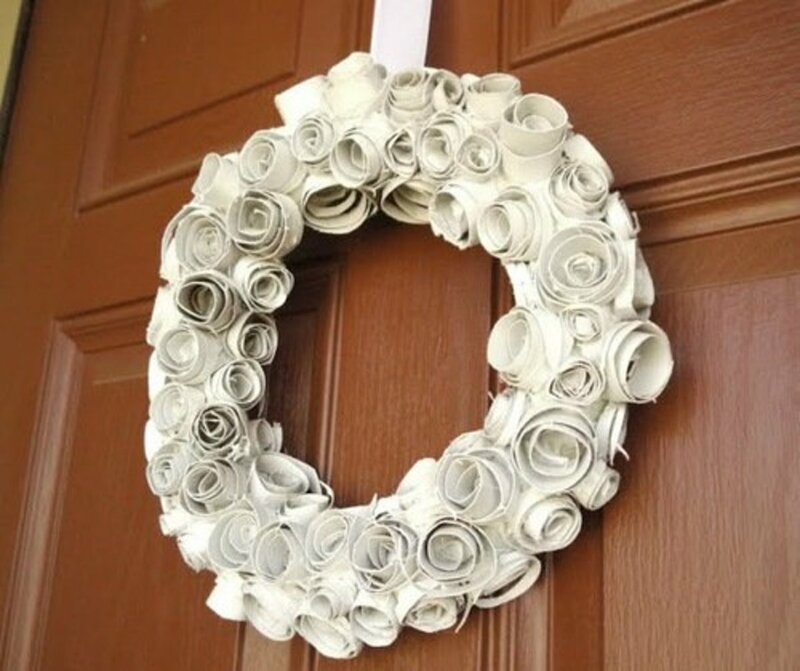 Lots of possibilities for this wreath by changing the colors for the seasons. Add a bow for added beauty. Find the directions for this project at Canadian Family. 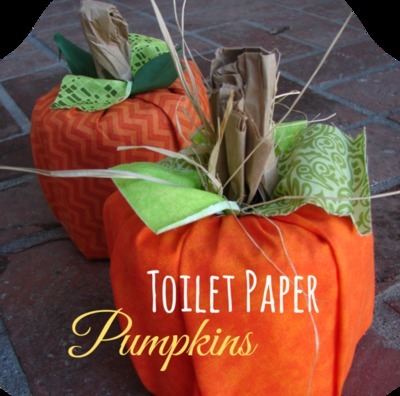 This is a project that is easy and useful as a Fall decoration. Imagine grouping these pumpkins as centerpieces for the tables during the Fall, Halloween and Thanksgiving holidays. 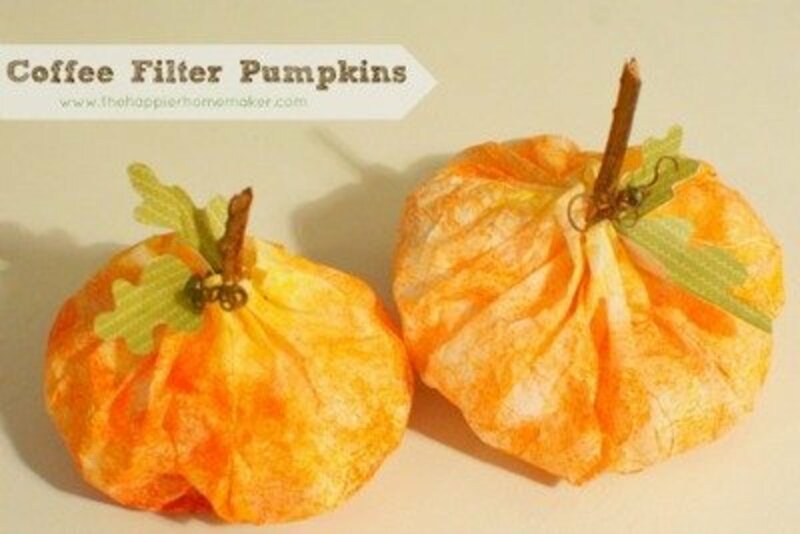 Find the instructions for this coffee filter project at The Happier Homemaker. 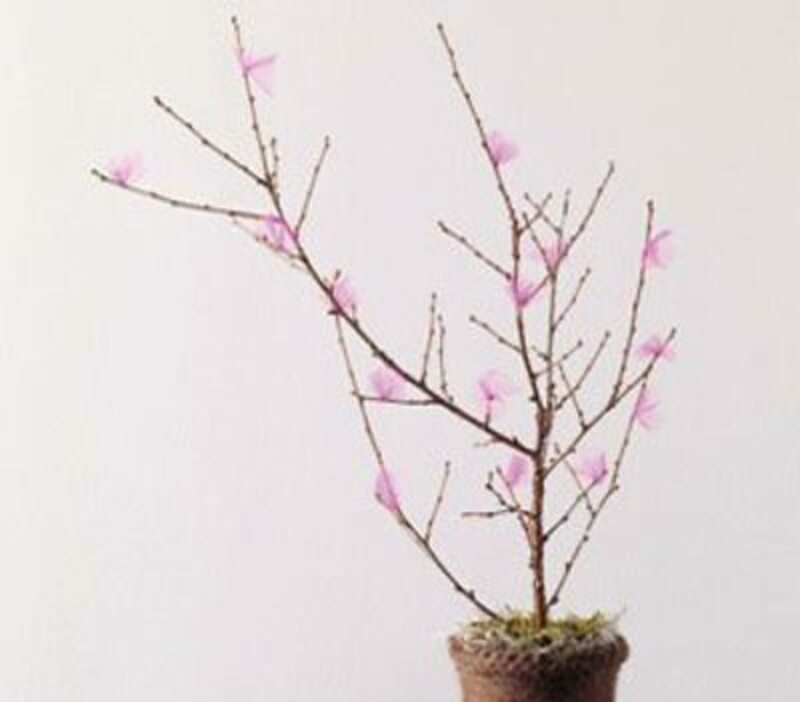 Bring a touch of Spring indoors with this tutu tree. Depending on the size of the branch, the tree could also be used to hang ornaments or candy treats. Go to Canadian Family for instructions. 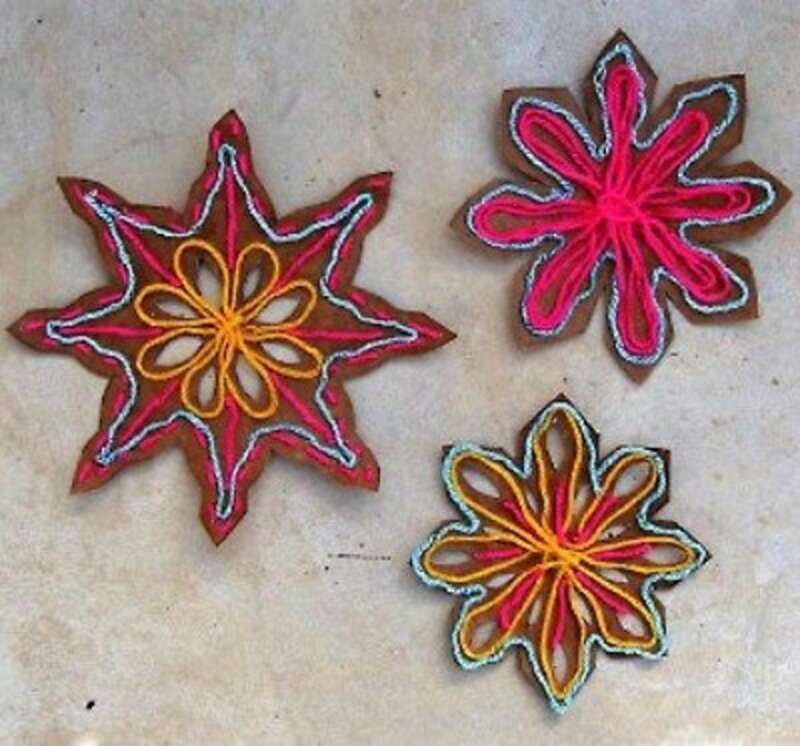 Use bright colored yarns for these cookie stars. The directions can be found at The Crafty Crow. If you have baby food jars, they make nice tea light holders, but small jars can be purchased inexpensively at a dollar store. Be sure to use the flameless tea lights. Go to Canadian Family for all the directions. 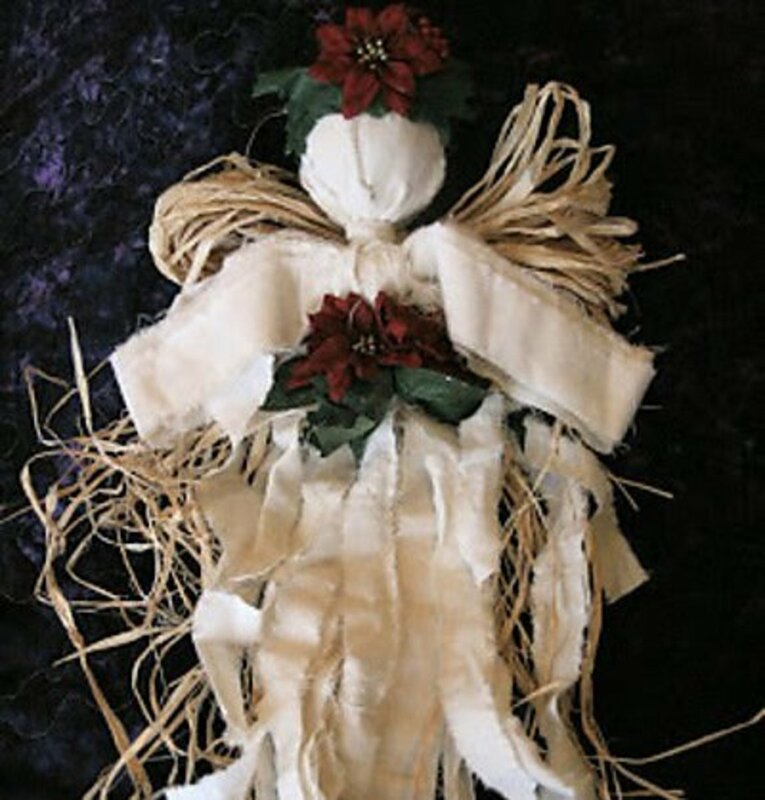 The seniors will enjoy making these angel ornaments to display on the Christmas tree. 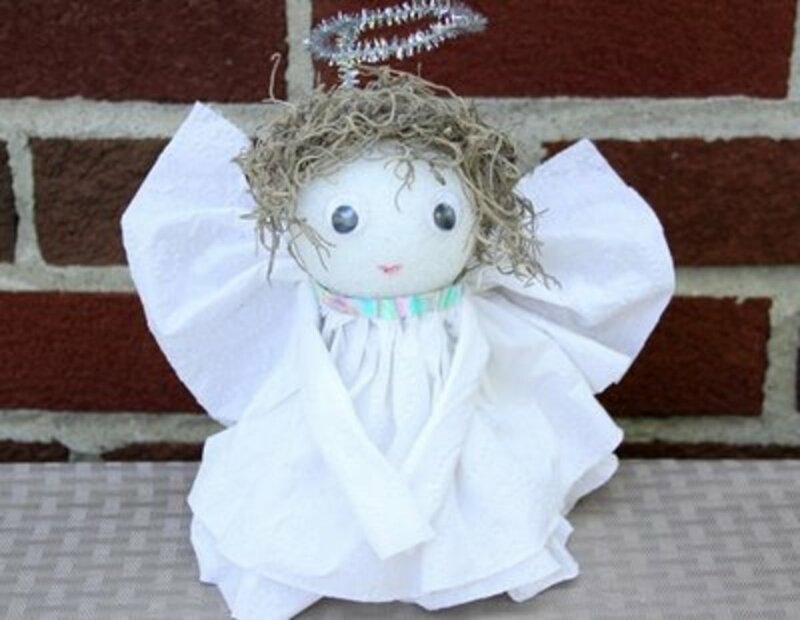 The directions to make these easy and attractive angels can be found at Momtastic. 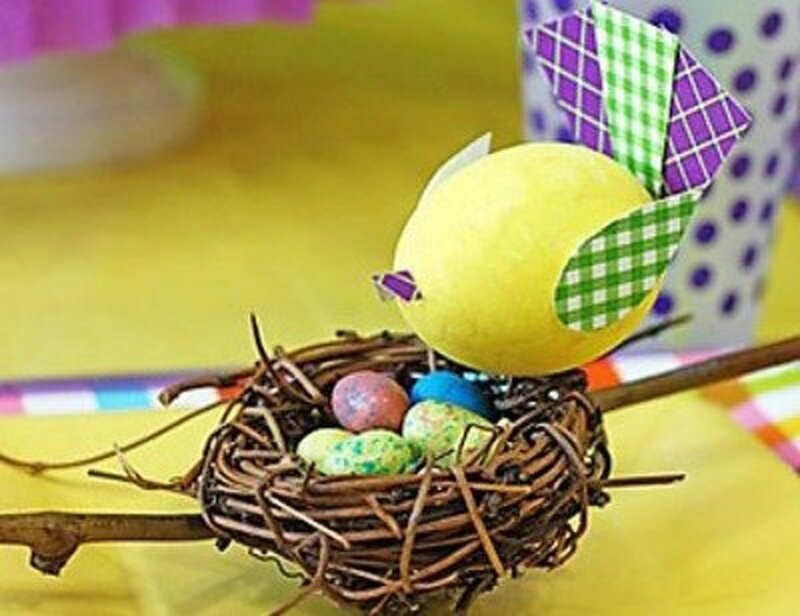 Isn't this just the cutest Easter decoration? 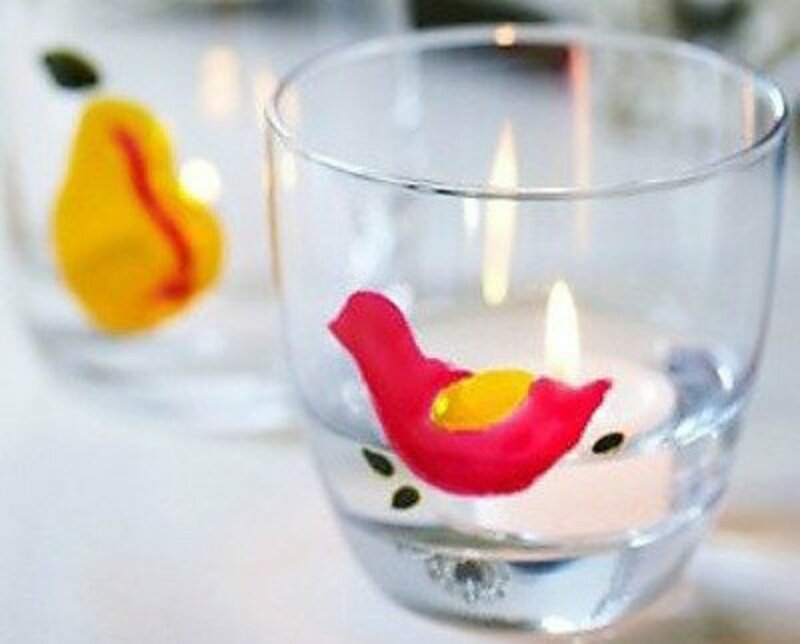 Make table decorations like this and enjoy them for a month or more. Go to Parents to see how easy they are to make. 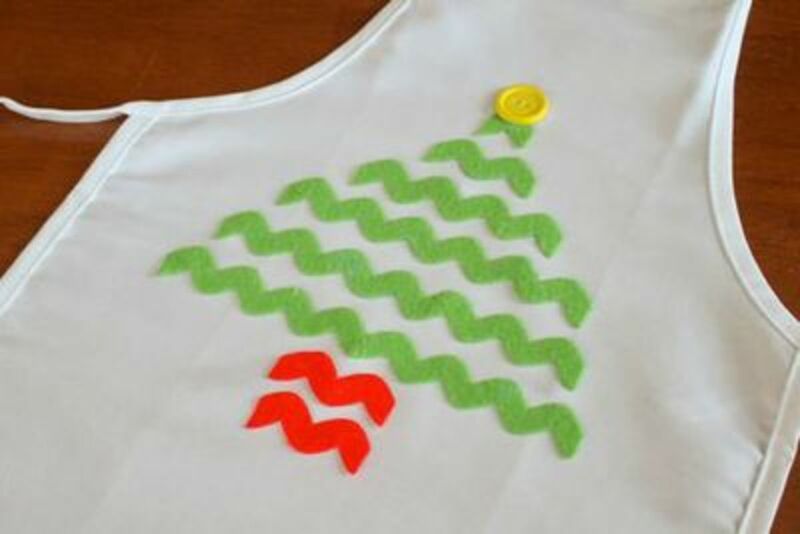 Although this is a really sweet Christmas apron that can be made for a grandchild or a friend as a gift, I like this ric rac Christmas tree idea for a number of other uses. 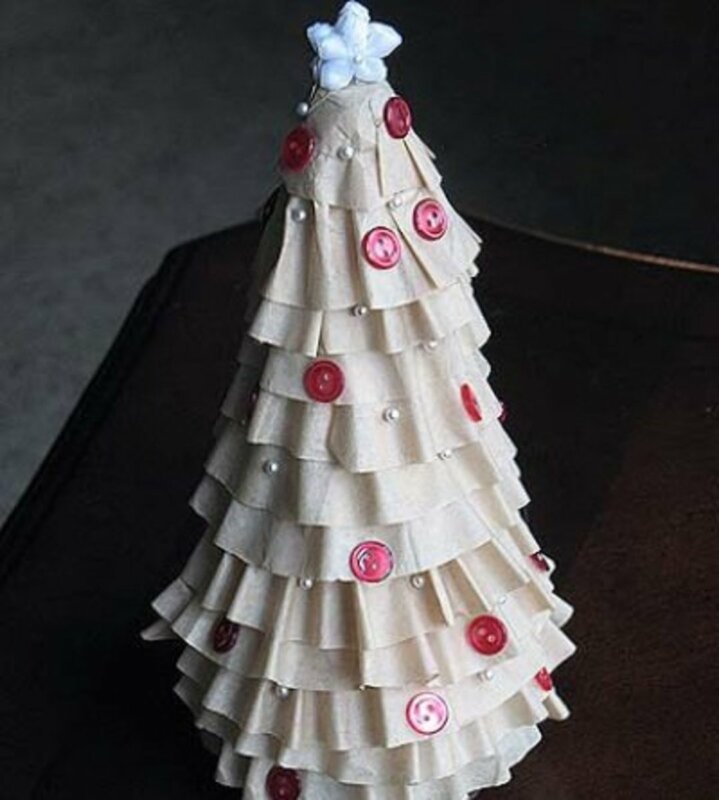 Decorate a simple painters canvas with a ric rac tree, add buttons, rhinestones or sequins to decorate the tree, and display in the seniors room during the Christmas season. Find the easy directions for this project at Create Craft Love. 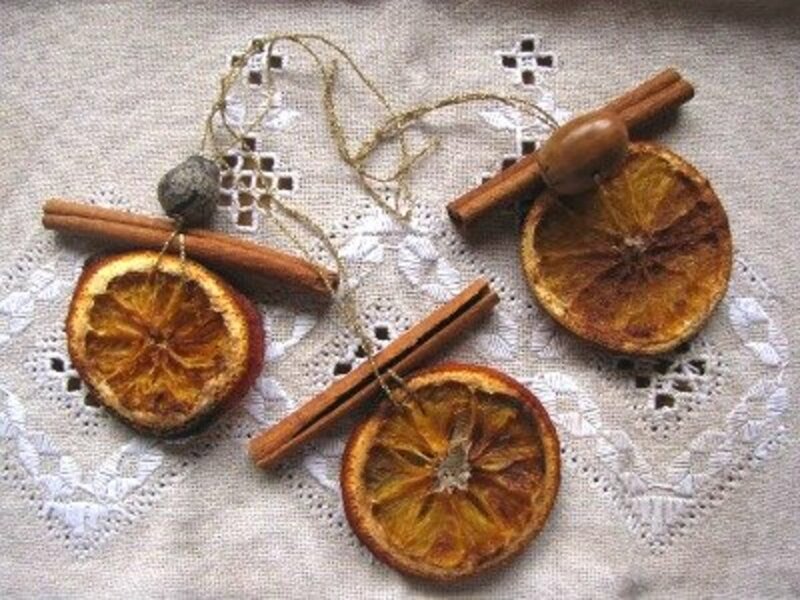 Imagine making these charm balls for other holidays other than Halloween too. Just a fabric or embellishment change. You'll find the instructions at Woman’s Day. Not all seniors will have the dexterity for this craft, but a few ladies would probably love doing it. Craftbits.com has the instructions. 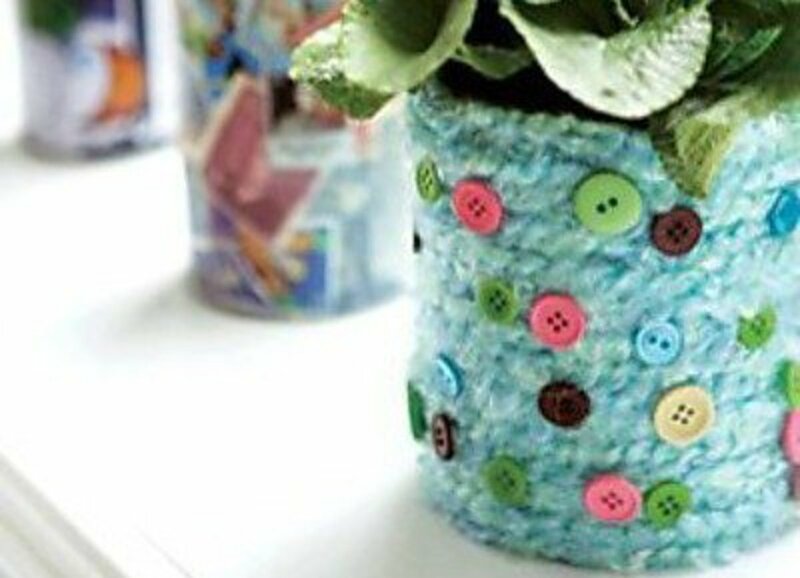 A great way to use scraps of fabric. Use a Styrofoam cone and a ball if you can't find the Styrofoam figure shown. Find all the instructions at Cut Out and Keep. 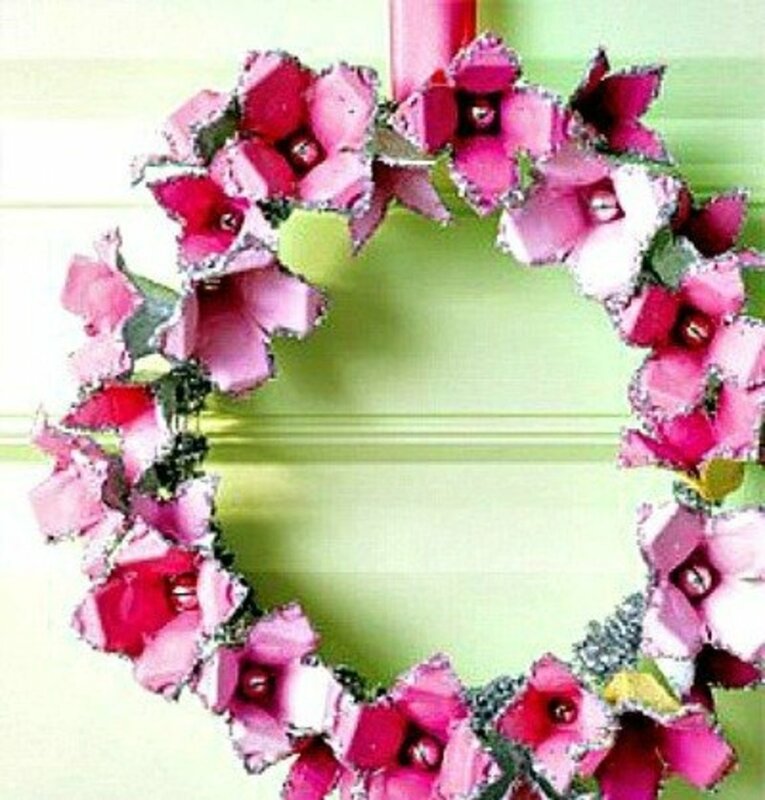 Use this same idea and make beautiful flowers to decorate the hallways. Creative Jewish Mom gives you great instructions for this project. 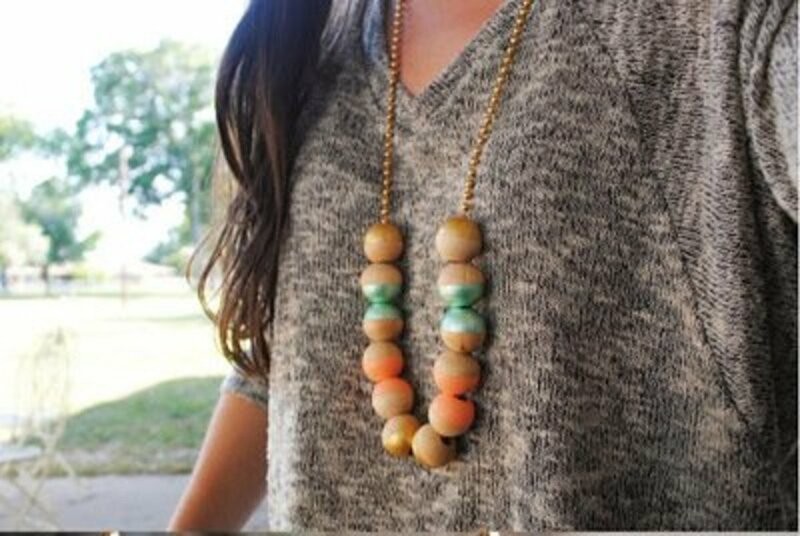 An simple, easy painted bead necklace. Find the instructions for this project at Swallows Heart. 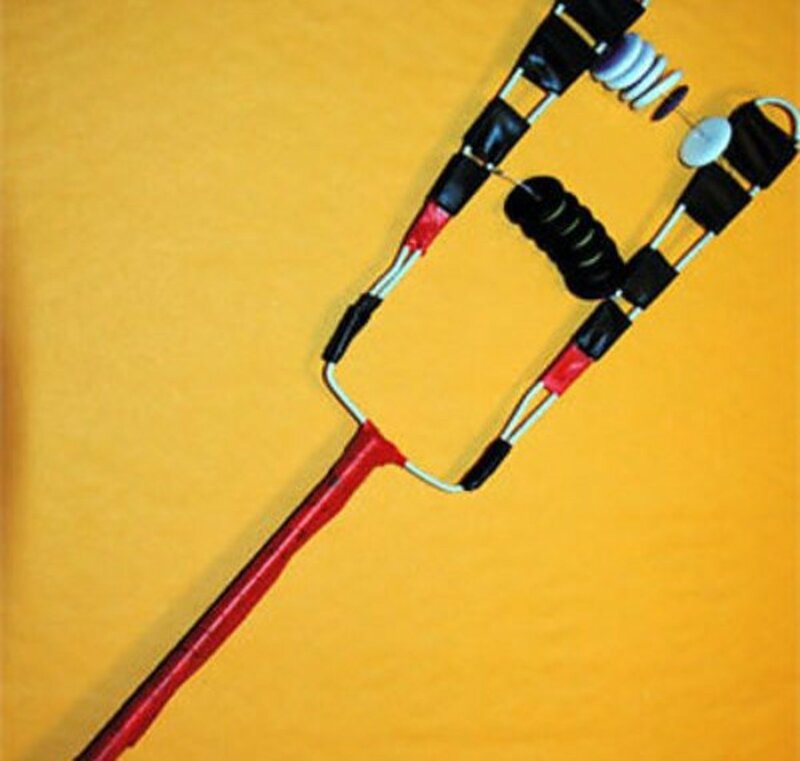 Although the directions for this project, that you'll find at Meaningful Mama, have you cutting the craft sticks after gluing the sticks to a tongue depressor, I think that for a group it would work better to have the craft sticks already cut. This looks so much more difficult than it really is. You'll be pleasantly surprised with the directions at Love to Sew Studio. You'll be surprised at how easy it is to make these beautiful, shabby chic rose votive candle holders. Check out the easy to follow tutorial found on the Dollar Store Crafts. 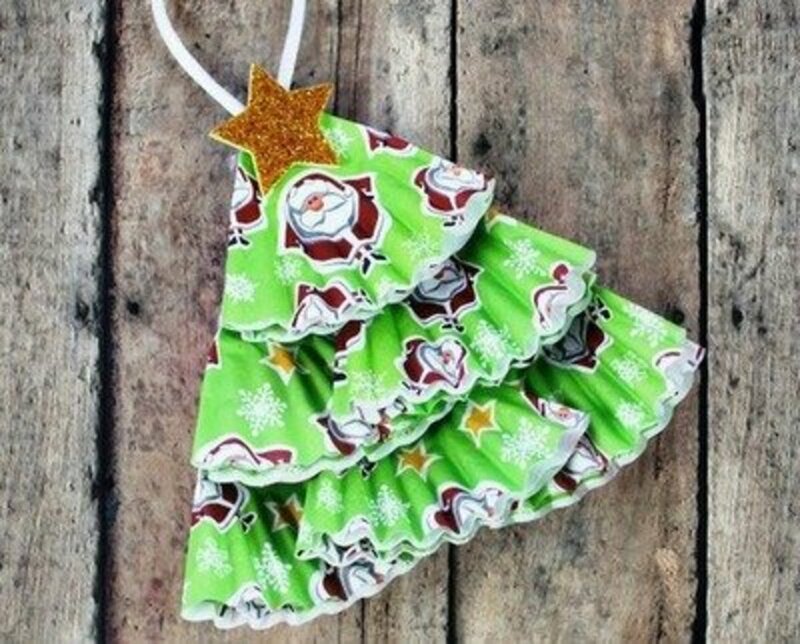 Groupings of these coffee filter Christmas trees would be very appropriate as table or floor décor. I think these trees would also be very pretty done in different colors. 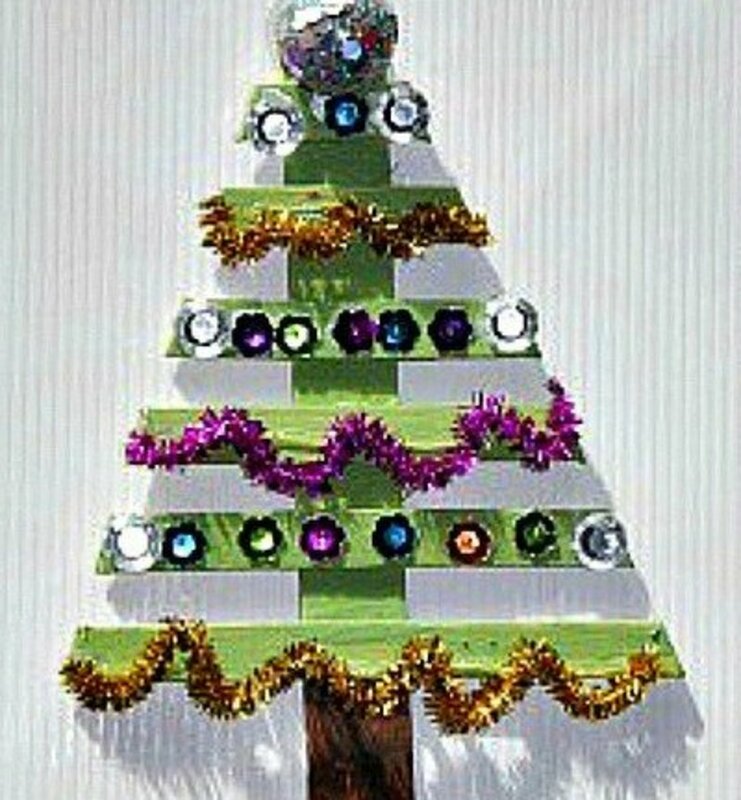 Find the directions for making the tree at Crafts by Amanda. 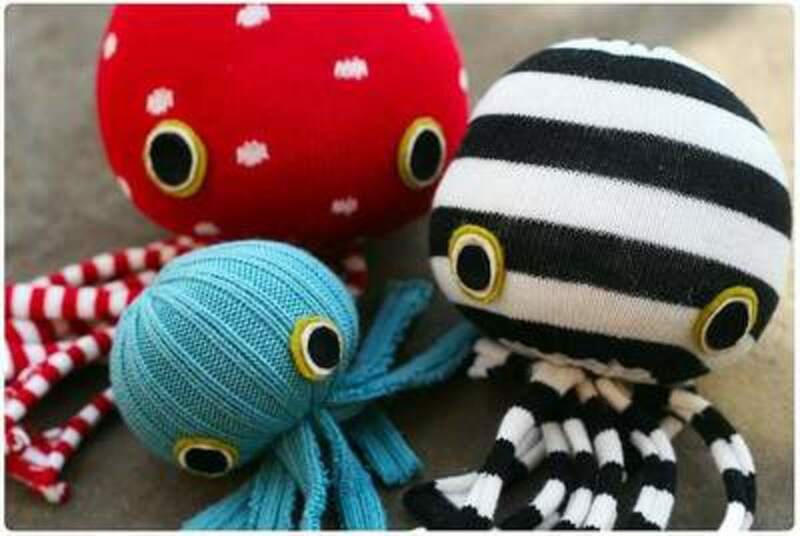 What fun it would be to make a socktopus to entertain visitors with. 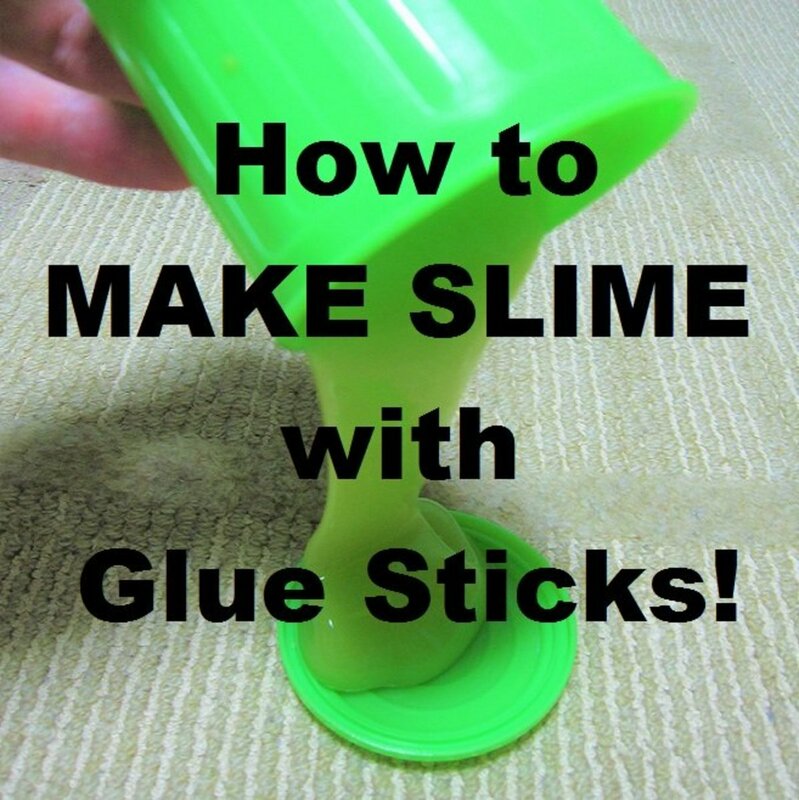 The seniors will find this an easy and fun project to make. This sock made into an octopus has directions at One Good Thing. 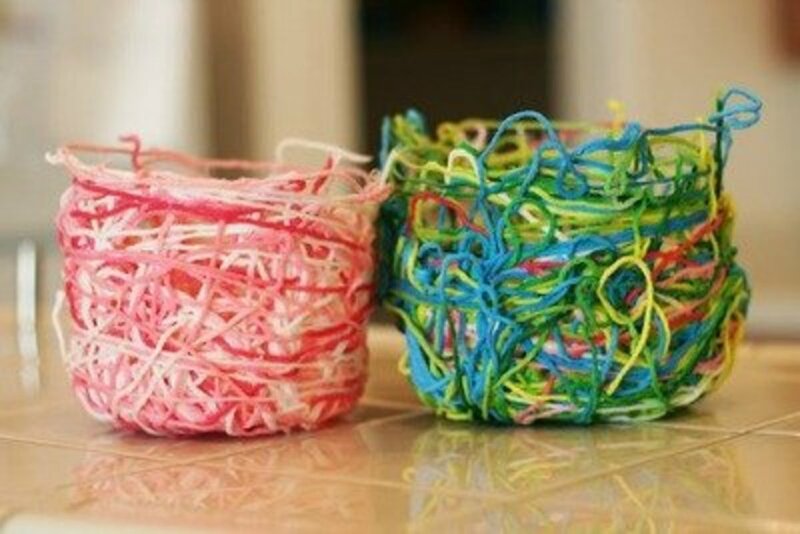 Be prepared for this project to be a bit messy, but the finished baskets are worth it. Find the instructions at An Apple a Day. 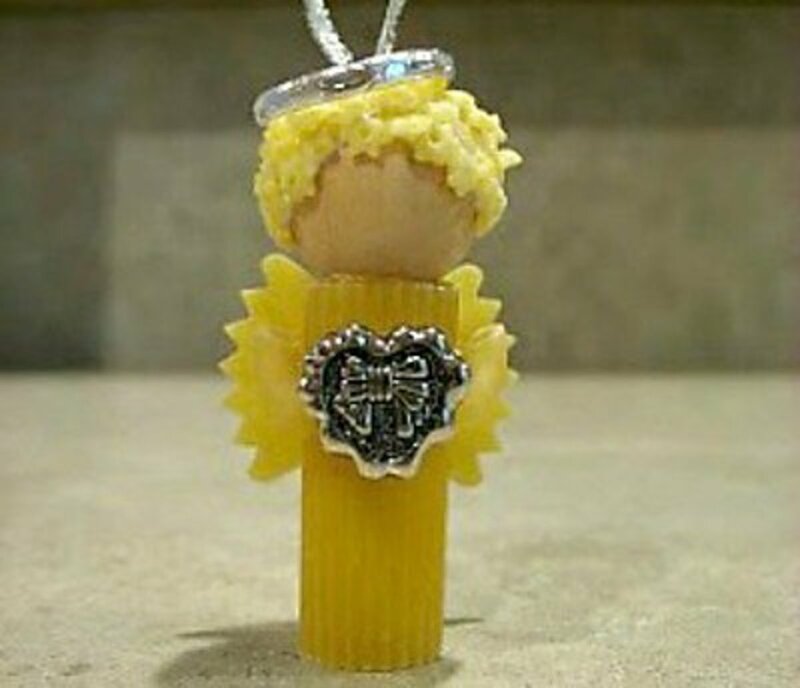 To find out how to make pasta angels, go to the My Cup Runneth Over site. An old, but ever beautiful, craft. This beautiful lamp is made using plastic spoons. This is a more difficult project, so it will be a good one for the seniors that like to be challenged a bit. 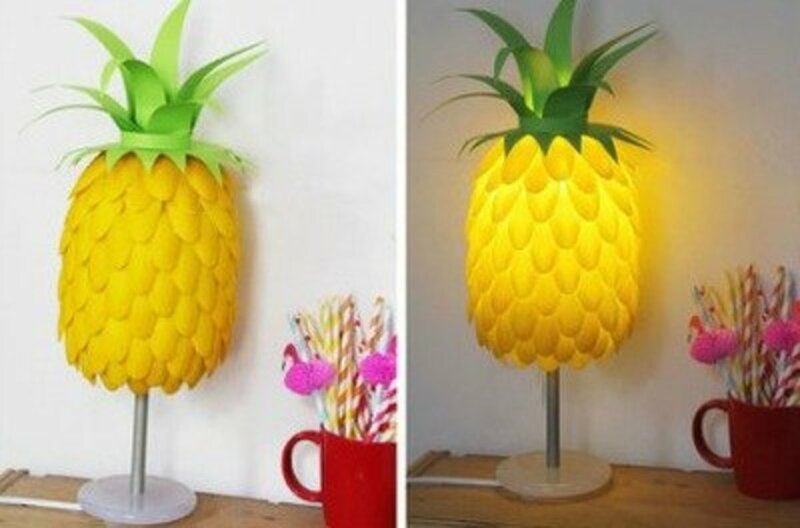 Find the tutorial for making this lamp at Craft Foxes. 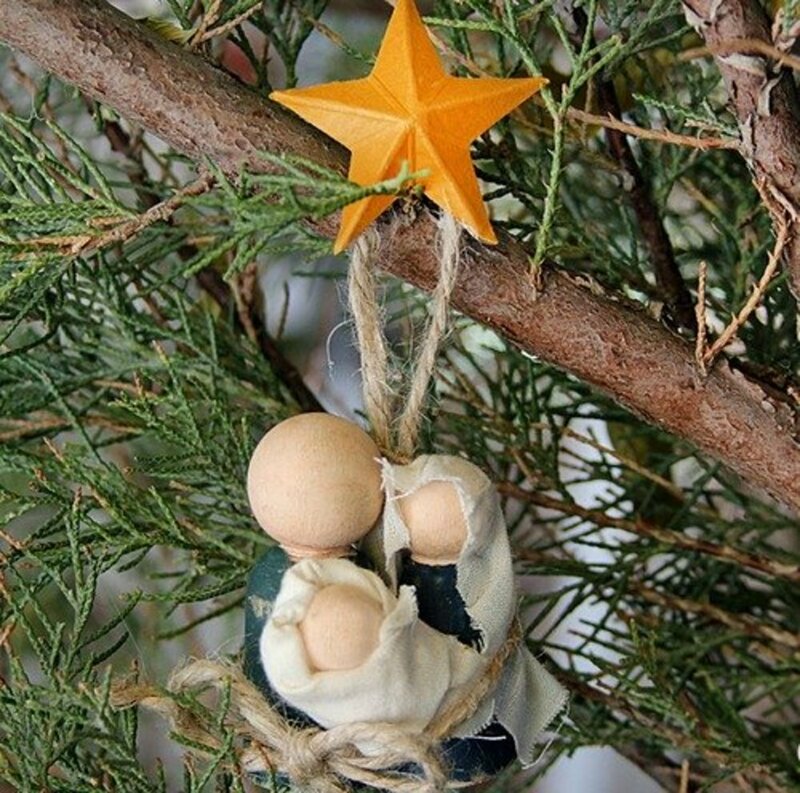 Use a smaller Styrofoam ball to make smaller angels. 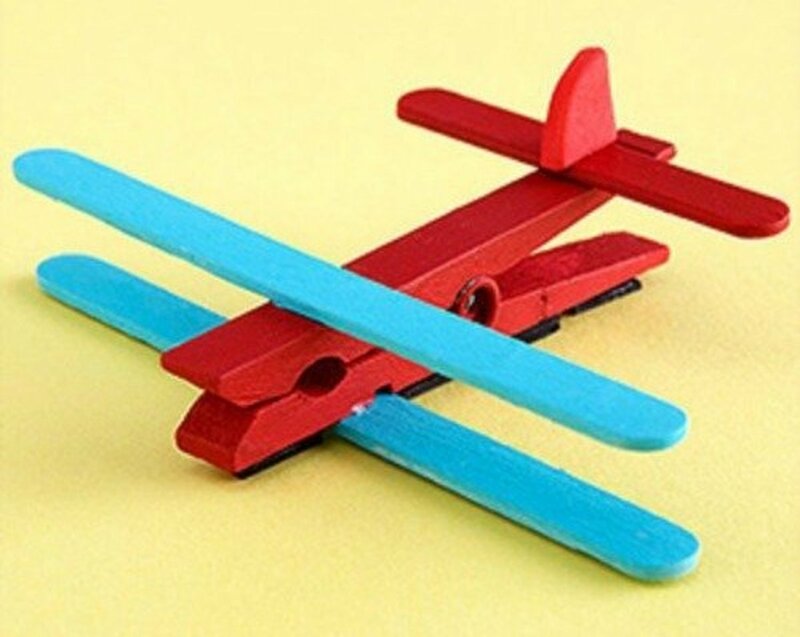 This is actually an easy craft even though it looks difficult. Find out how easy it is by reading the directions at Crafttown.com. 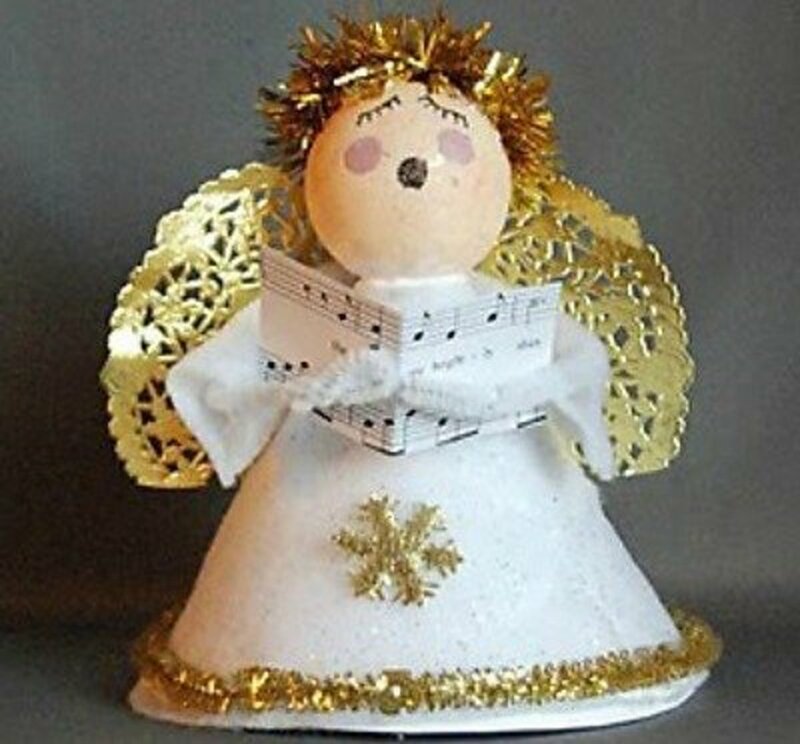 Make easy angel carolers by following the instructions found at That Artist Woman. 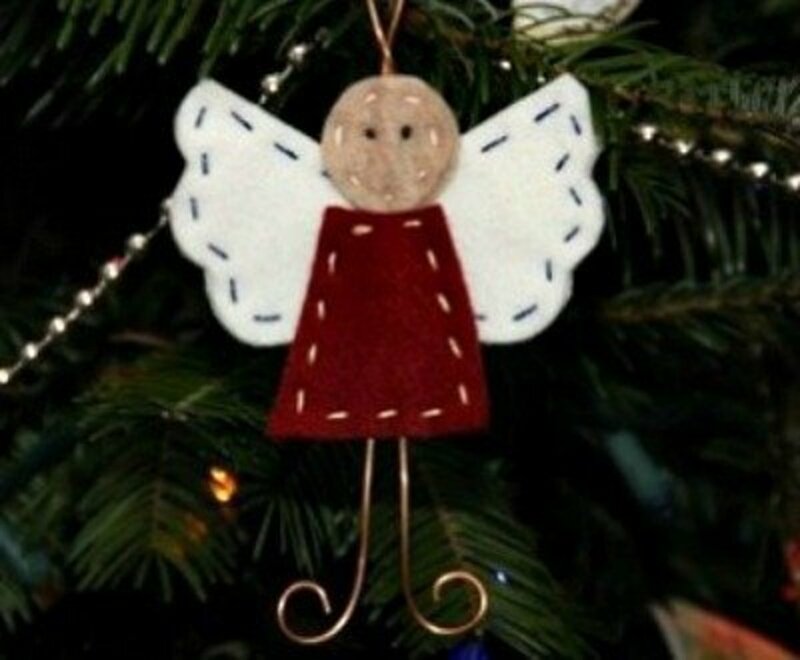 This is a great craft project for seniors for making tree ornaments or centerpieces. So easy to make and so very attractive. Make a centerpiece for your fall table by going to Serial Access Mom for the tutorial to make this pumpkin. 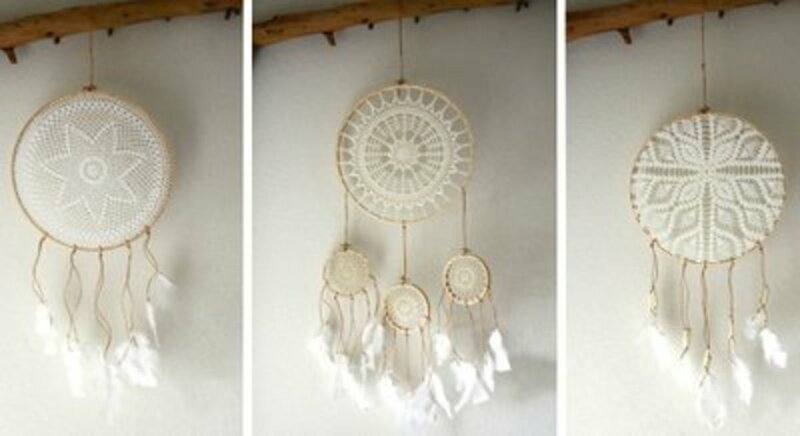 Making a dream catcher is super easy when using a doily. A very pretty project with directions found at Bellamumma. 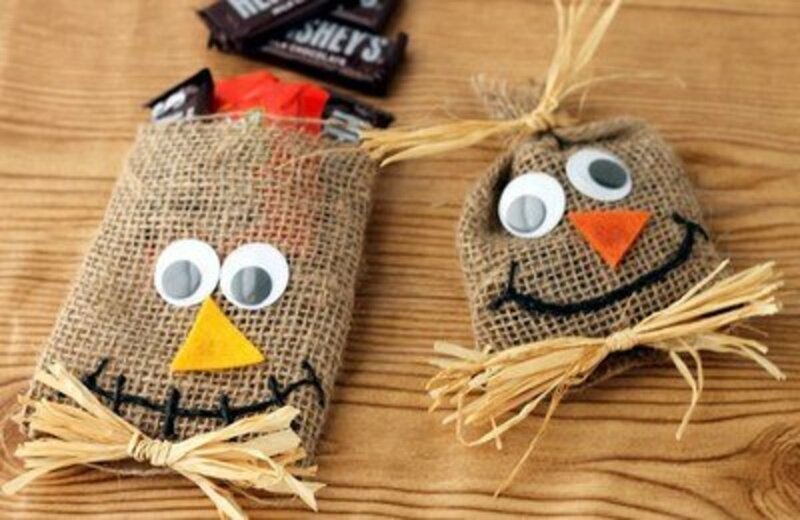 Give your Halloween visitors a cute little gift. These treat bags will be so appreciated. Go to Old Time Pottery for the tutorial. I love this project using coloring pages, which are included with the instructions at 100 Directions. Think of all the ways to use these little snowmen: tree ornament, necklace, refrigerator magnet and lapel pin. My favorite flame less tealights have a cool white flame and an on/off switch. Find the directions for making the snowmen at Onelittleproject, and then follow your imagination. Make a bouquet or a corsage using flowers that you have made with cupcake liners and the tutorial at Lia Griffith. 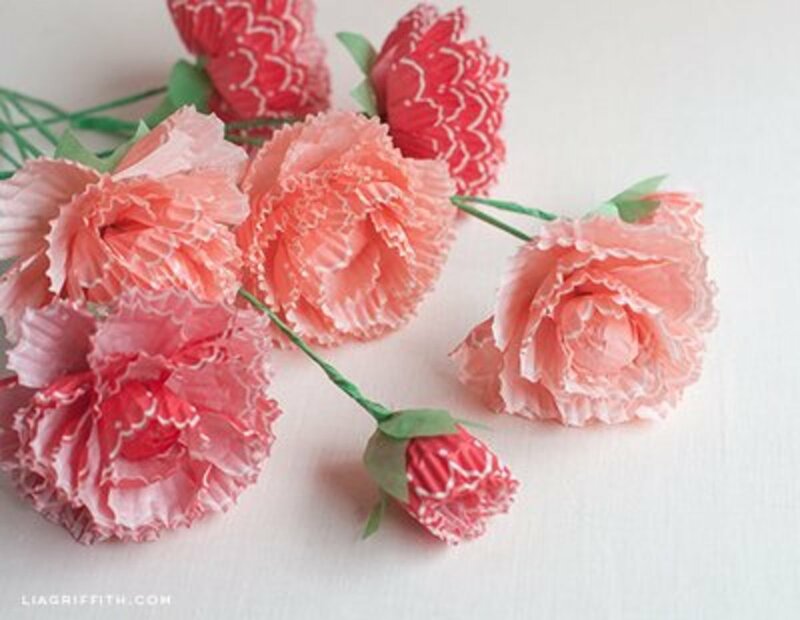 Do you have any Mother's Day corsage ideas for nursing home residents? 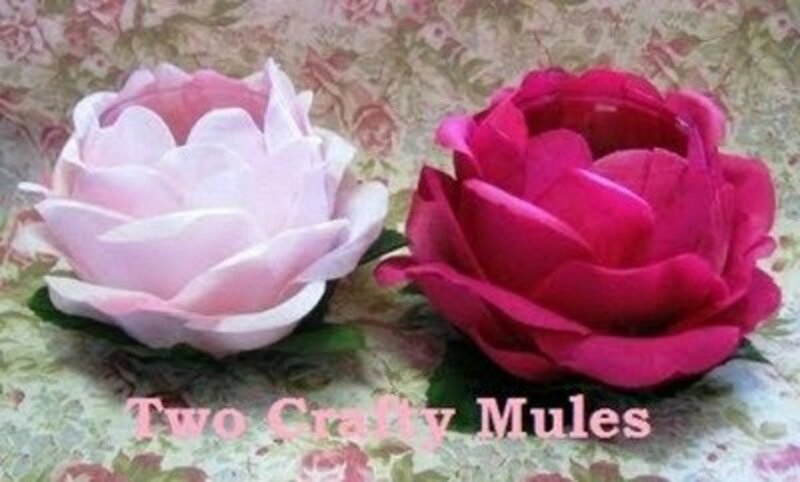 I've added a cupcake liner peony that could be used in a corsage. I think these would be easy to make and inexpensive. Which is your favorite project? Just trying to get ideas for our Extension Homemakers meetings. Thanks. These look like we could manage.